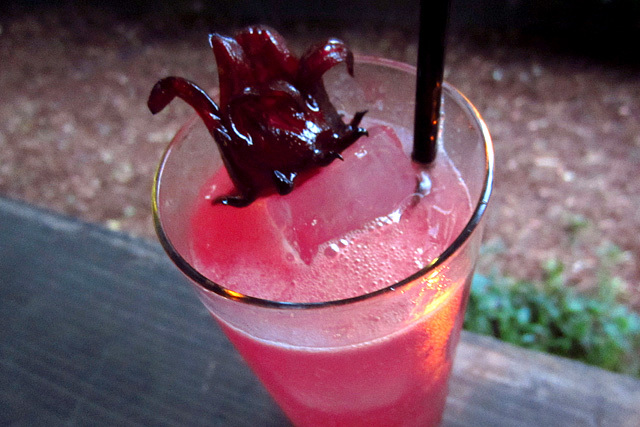 As the heart of the summer of 2012 continues to sizzle, and some of us (including yours truly) are still putting the pieces back together after Tales of the Cocktail, many of LA’s top bars have been busy rolling out and serving their summer cocktail menus to thirsty Angelenos. One of the best of these seasonal lists is the Summer Cocktail Menu that was recently launched by the creative team at 1886 Bar at The Raymond. Lead by Head Bartender Garrett McKechnie, the 1886 crew has gone from strength to strength with each of their seasonal menus, and they may well have topped themselves with their latest. The tasting began with the Summer Shrub Fizz, a Regional created by McKechnie and Peter Lloyd Jones. 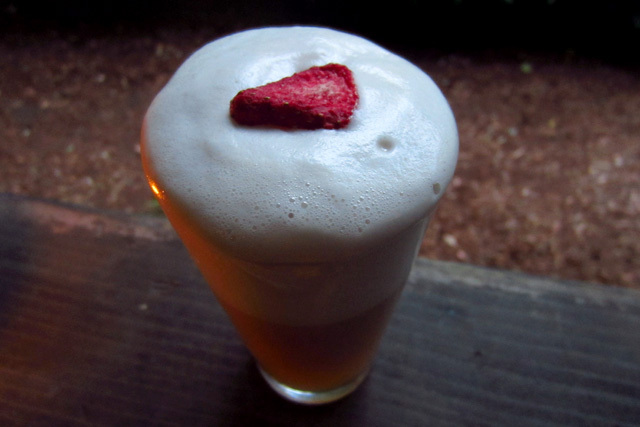 Made with Demerara Rum, London Dry Gin, organic egg white and a homemade strawberry shrub with Meyer lemon essence, it was an ideal starter to the tasting, with a wonderful, thick head and a nice balance between sour and sweet. Next was the Rosebud, a Shaken made with homemade hibiscus liqueur, Benedictine, fresh lime juice and Reposado Tequila, topped with Fever Tree’s lite tonic water. Bartender Brady Weise steps outside his beer cocktail milieu with this dry, tall sipper that we’re told is not named for Charles Foster Kane’s sled. La Brigada is a Seasonal inspired by Lacey Murillo’s summer trips with her family to La Paz, made with mezcal, homemade agave liqueur, fresh pineapple and lime, served over crushed ice with a shard of frozen coconut water. Murillo has shown her fondness for smoky cocktails (e.g. 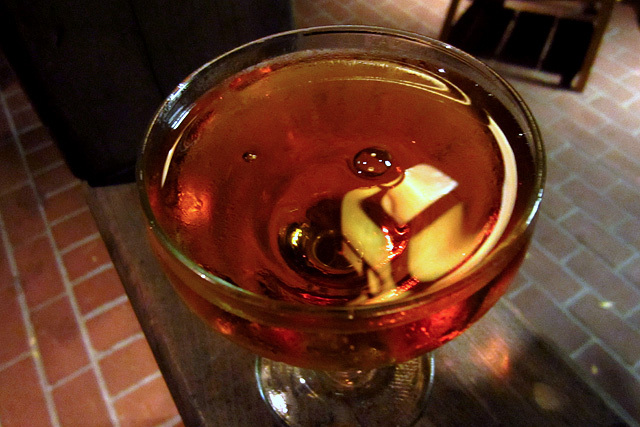 last winter’s Smoking Jacket) and whimsical touches like the Campari “glass” that garnished her Barrel Roll from the spring. 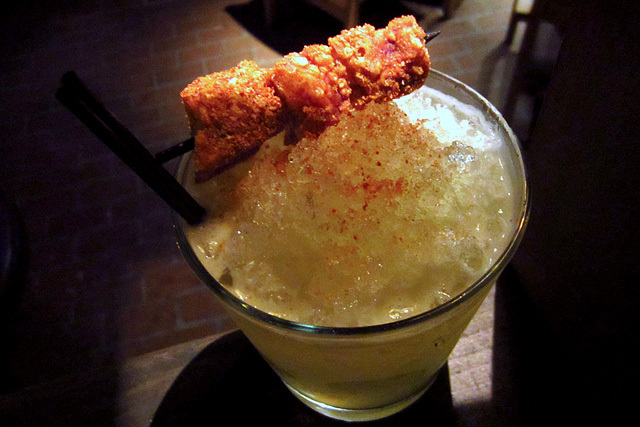 With La Brigada she continues to tantalize with a chicharrón garnish that adds a savory kick with each bite. The Stirred section features the Xocolate, the debut cocktail from Eder Campos, made with Reposado Tequila, Italian vermouth, Crème De Cacao and Mexican Mole Bitters. Campos knocks it out of the park his first time at bat with an excellent sipper that carries a long finish with hints of spice. The repo tequila stands up to the chocolate and sweet notes for a well-balanced cocktail that hopefully returns in subsequent seasons. 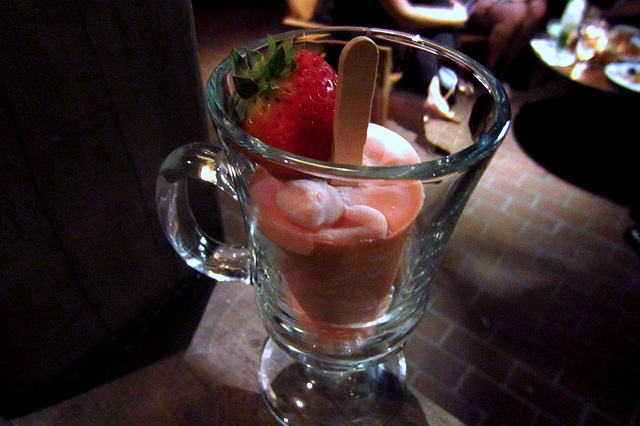 The standout of the Seasonal section is the Strawberry Paleta, made with fresh California strawberries, cream and a “healthy dose” of rum. McKechnie’s adult version of the classic Latin American ice pop is the first of 1886’s rotating summer paleta “Pop Shots” and is sure to be the hit of the summer menu. 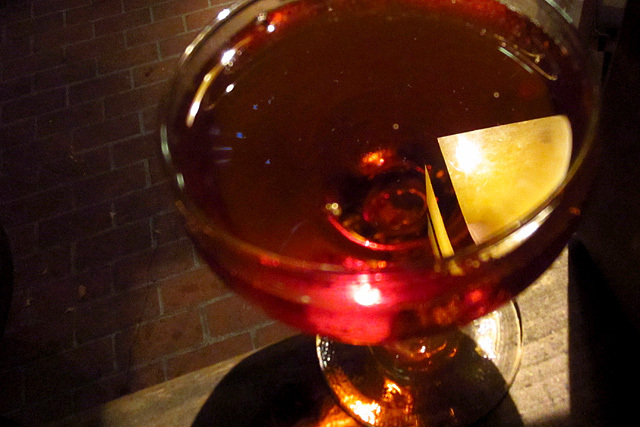 A deceptively strong cocktail that’s impossible to resist. The After Hours is a Seasonal collaboration between Murillo and Weise, a spiced rum swizzle made with passion fruit, pineapple and bitters, topped with Hazelnut Porter. A final Seasonal for those who really want to chill, McKechnie’s Tranquilizer is a potent mix of Wray & Nephew Overproof Rum, Mount Gay XO, Batavia Arrack, coconut and pineapple. 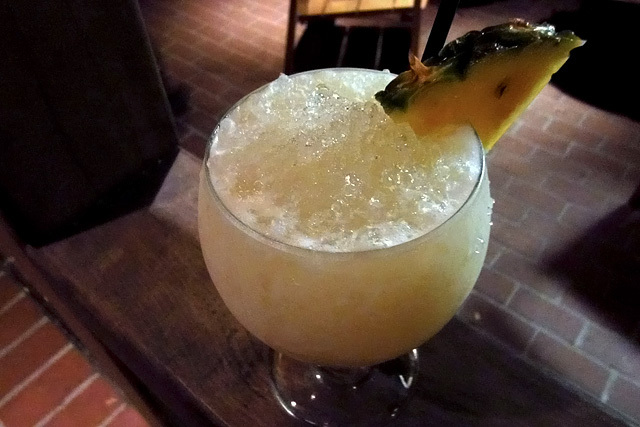 Call it a piña colada on steroids, it’s a silent assassin that goes down way too easily. 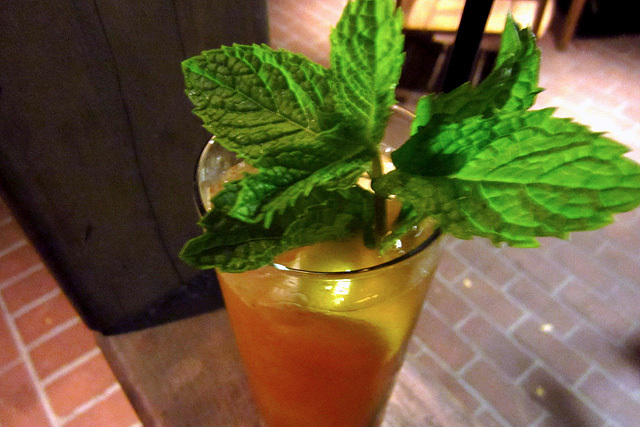 The Regional section closes out the 1886 series of Pimm’s recreations with the Pimm’s No. 6, a bright spritzer made with Karlsson’s Gold Vodka and 1886’s summer Pimm’s recipe, topped with homemade sparkling lemonade. 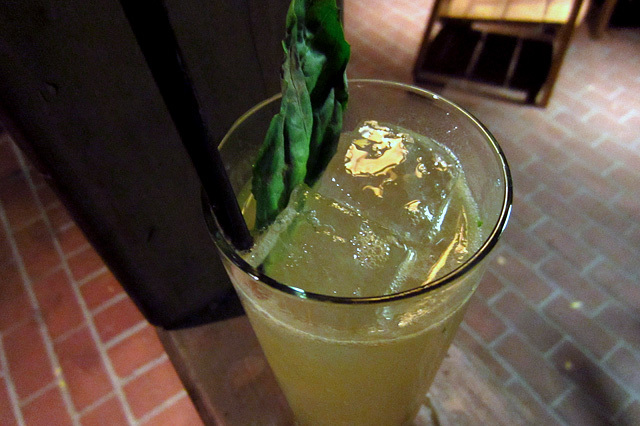 1886’s “spirited godfather” Marcos Tello makes an appearance in the Shaken section with a Bols Genever Basil Collins, aka the BBC. The 1886 crew gives a Stirred cocktail shout out to Eveleigh bar manager Dave Kupchinsky and his Dutch Kills: Bols Barrel Aged Genever, Italian Vermouth, bitters and a dash of Apricot Liqueur. This aromatic would be just as home in the fall, but a Manhattan-style drink is always welcome on a menu no matter what the season. The tasting wrapped up in the Shaken section with the Kai Lani, a McKechnie creation inspired by New York’s Brian Miller (Lani Kai). 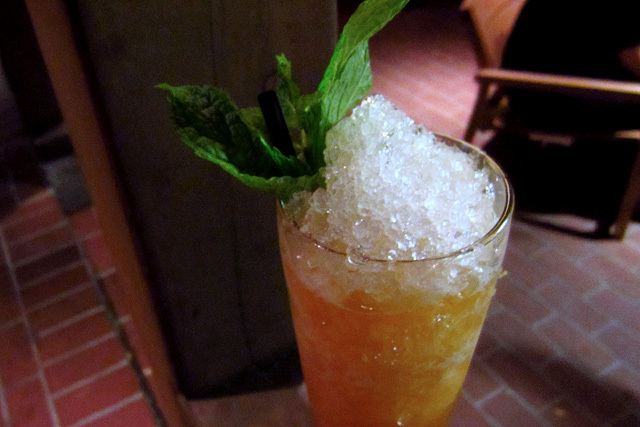 McKechnie’s tiki cocktail is made with aged rum, overproof Jamaican rum, Peach Liqueur, fresh lemon juice, and McKechnie’s Spice Mix #1. Like many a tiki drink before it (and for that matter a few of the cocktails on the summer menu), the Kai Lani is a dangerously smooth libation that is the epitome of the endless summer. 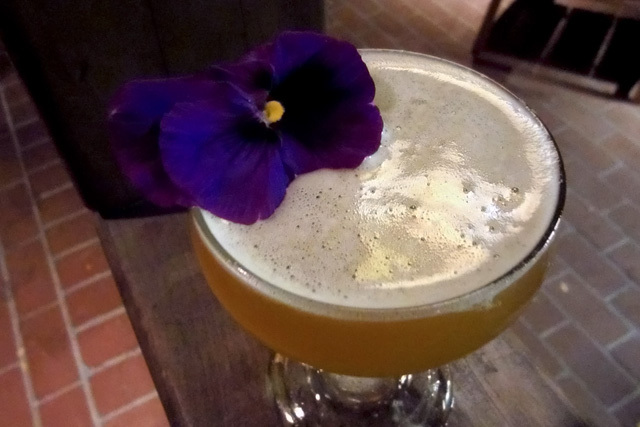 1886 has really hit its stride this summer with a strong list of cocktails that reflects both the strengths of the individual bartenders as well as the cohesiveness of their collaboration. 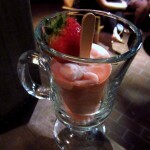 Several outstanding drinks, including the Strawberry Paleta and the Xocolate, will linger in the memory long after the days begin to shorten and menus across the city begin their turnover to the fall.